Johannesburg’s success in rolling out public transport and promoting cycling and pedestrian activities will be highlighted at a major international festival in October. “We will prove that the streets of Johannesburg truly belong to all our citizens and that with innovation and imagination we can turn streets into amenable public spaces,” says the Executive Mayor of Johannesburg, Mpho Parks Tau. He was speaking at an event to announce arrangements for the EcoMobility World Festival 2015 that will be hosted in Sandton in October. Certain streets of the Sandton CBD – often referred to as the ‘richest square mile in Africa’ – will be closed off for regular traffic and preference will be given to public transport, walking and cycling. Mayor Tau said the intention is “to decongest Sandton and turn the streets of the CBD inside out.” The Festival will introduce Johannesburgers to eco-friendly alternative models of commuting. Mayor Tau noted that Sandton is not only the premier financial district in South Africa but also one of the most congested areas in the country. Traffic studies show that that more than 100,000 people move in and out of its core every day. The number of commuters is growing by 3.4% every year, and this trend will continue unless major interventions are made. The EcoMobility World Festival is an international event attended by mayors from major cities, transport decision-makers, thought leaders and innovators. The first Festival, organised in partnership with ICLEI – Local Governments for Sustainability, was held in Suwon, South Korea in 2013. A series of Dialogues and public Imbizos on the future of transport will be held during the month and city mayors will participate in an EcoMobility ride on eco-friendly vehicles through the streets of the district. The festival will, however, also demonstrate that a decongested Sandton can bring major benefits to residents and businesses. The many events during the month will attract more ‘feet to the streets’ and the family-friendly environment will encourage people to participate in the activities. The programme will include sport and leisure activities on the streets of Sandton, demonstrations of eco-mobile vehicles, and walking and cycling activities, including the hosting of a Freedom Ride through the streets of Johannesburg. During the opening ceremony on 4 October, streets between Alexandra and Sandton will be closed off to traffic, and members of the public will be encouraged to walk, skateboard and cycle between the various activities. Mayor Tau said the global event will also focus attention on the progress Johannesburg has already made in the delivery of public transport infrastructure such as the Rea Vaya Bus Rapid Transit System, the Corridors of Freedom and the construction of cycling lanes and walking paths. New transport interchanges that will be built in precincts such as Sandton and Alexandra will enable people to make seamless transitions between different modes of transport such as commuter rail, Rea Vaya, Metrobus, taxis and cycling. “The EcoMobility World Festival will, once again, project Johannesburg as a world-class African City that is prepared to take bold steps to create a sustainable future for all its citizens,” said Mayor Tau. 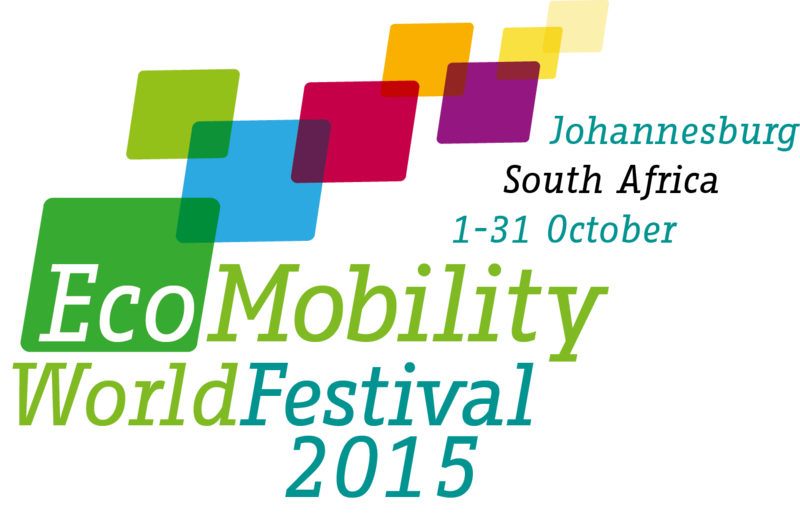 For more information, please download Mayor Tau’s full speech or the EcoMobility World Festival 2015 brochure.